Family: a word that everyone says so often, but not everyone knows the real meaning of it. Family is a word that is defined by people very differently. The true definitions of family exceed just the blood relations. It is true that most of us can count on our father, mother or siblings, but it is also true that we have a family beyond them, like friends, or our spouse (obviously). These quotes about family not being blood might make you re-think of the importance of people in your life. Friends are family, when you have the right ones. Isn't love all there is in a relation that holds happiness and support? Isn't all love a root of family? The honesty a person holds in their heart is directly proportional to the love they have for their family. 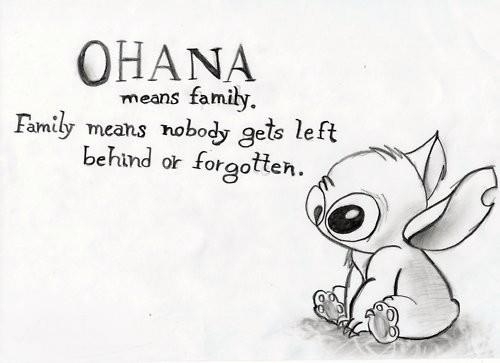 There is so much more to family than just being related by blood. I really like this quote by Charles Dickens. They say that you can test people's sincerity only in times of your hardships, and trust me, they are right. It is usually those who are closest to you will hurt you. You share feelings in a family, more than you share blood. Look around you and realize that there are some relations that cherish you more than others. There are some people who really are your family, even if they're not biologically. Tell me, haven't you seen people who have been left alone by their own blood relatives? There are many. Ever felt like your BFF is your lost sister or something? I know, I feel it, too. And that's when you know that you've 'found them'. Your genes may decide who you grow up with, but your genes can't decide who your heart grows fond of. Family means a source of love and support; wherever you get that from, that's your family. This is the main message we are trying to send to you. Ever heard the phrase "Brother from another mother"? That means it. People click together, no matter how genetically different they may be. This is how I like to define family. As many of these quotes about family not being blood declare, mutual feelings, care and love are what makes a true family. How you act with a person, and how they act with you, can affect your relation. This is so cute! Who else agrees with him? This quote emphasizes that blood relations are family, but not only blood can make them family, it is about how you and they feel. Well, how could we not take Queen Elizabeth's saying on this?! That's a really nice thing to say to your spouse, or even friends. A well-wishing, well-meaning heart is your family. When we truly cherish the people we love, and respect their selves, it is then that we make a family.